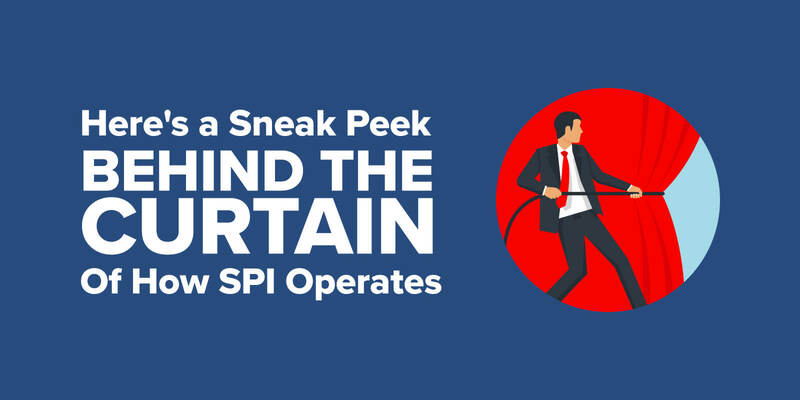 Take a sneak peek behind the curtains of how SPI operates, from our core values and mission to management to business systems and tools for performance. Tony Robbins. A primetime news broadcaster. The front-man for a popular band. What do they all have in common? One heck of a team behind the scenes that brings their respective magic to life. cohesion of team (with the star included) bonded by a noble purpose bigger than any one person and empowered through principles, process, and standards is the engine that produces and delivers value to others. This behind the scenes work is exciting and messy at the same time. When it’s done well, the outward projection appears effortless to readers, fans, audiences, and anyone else who may be observing what we do. However, anything that appears effortless is never actually so. Making magic happen is messier than most people think. And it takes an unimaginable amount of practice, individually and collectively, to get good at it. I admit that I’m a romantic when it comes to this stuff. I live in the control room directing others to conform chaos into order to achieve our intentions much like Mackenzie McKale of Newsroom’s fictional News Night so that the show can go off without a hitch. It’s always a challenge. And it’s always worth it because that’s where the magic comes from. Care to take a peek inside our control room? You won’t find anyone wearing a headset. And we don’t work behind TV cameras. What we do have are a collection of things that give our work its form and function. We may not be movie stars but I like to think that this stuff equips us with a form of magic unto ourselves. Let’s start with our operational Northstar: our purpose. A company’s purpose gives definition to its intention. Purpose should manifest in a few different forms including a stated mission, vision, and core values for the team to rally behind. If these central artifacts don’t exist, then there is no good rally point. This rally point is seminal to keeping team members in sync with each other so that everyone is rowing in the same direction. If they aren’t, then the team can spin and get nowhere fast even if the individual outputs from each person or department are adequate. In this way, a common purpose unifies a team much like sheet music unifies a symphony of musicians. In both cases, the output quality of an individual (e.g. your copywriter, a clarinet player) or department (e.g. your marketing team, the winds section) matters less than how that output integrates with the output of others to achieve the endgame (e.g. hitting your goals, delivering a masterful symphonic performance). If the output is disjointed because there was no governing purpose, then you risk making not music but noise and wasting a lot of time, energy, and resources doing so. We spent most of day one during our Q1 business meeting and team retreat in January immersed in this subject matter. It was critical to give this stuff immediate attention after merging so that we didn’t leave the dock without a rudder. It was a powerful and inspiring experience as we worked through ideas and feedback together. What emerged couldn’t have been achieved alone. It was a team effort, which is the point. 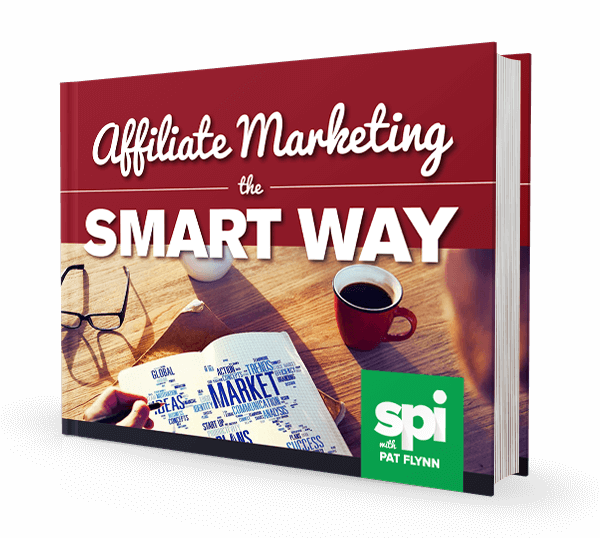 Vision: SPI (Smart Passive Income) is a nationally recognized and award-winning brand that serves a worldwide community of entrepreneurs in pursuit of building businesses they can be proud of. SPI helps its fans achieve success by teaching essential leadership mindsets, business strategies, marketing concepts, and more. Podcasts, books, online courses, and live events are among the valuable trainings SPI is proud to offer. Beyond its own creations, SPI teams up with other industry experts to develop and champion helpful resources, communities, and causes that further enable its mission. Regardless of the channel, SPI promotes active engagement with its fans and welcomes anyone into its community who is devoted to a purpose bigger than themselves. Work With Purpose—The best, most valuable work we can do comes from focusing on priorities, reducing waste of resources, providing helpful feedback, and collaborating with positive intentions. Take Care—We strive to care for our team and our community through being considerate of the needs, goals, and boundaries of all, weaving empathy and service into every action and intention. Embrace the Process—Be curious. Question assumptions and explore opportunities. Learn from failure and admit mistakes. Reduce chaos. Promote sustainability. And find as much joy in the work as in the success. Own Your Outcome—Embrace the privilege that responsibilities provide to do deep work that delivers meaningful results and makes a positive difference in the lives of others. Share Without Ego—We offer the complete picture of our experiences—to ourselves and to our audience—to enable authentic learning that promote our values without compromise. Choose Health—We embrace, without guilt, the flexibility of our work life that allows us to take care of ourselves first so that we can better serve others. Mission is a declaration that ideally will waver very little (if at all) over time. It is elemental to your existence. By contrast, vision is an expression of the mission in more concrete terms that can be realized over time. Vision statements are usually crafted to represent a two- to three-year pursuit. Finally, core values exist to ensure that those enrolled to help realize the vision do so within a framework of behaviors and cultural norms that promote the caliber of action and accountabilities necessary for success. Putting this stuff on paper isn’t enough. That’s why for us at SPI, we talk about these things at our quarterly business meetings as well as during routine 1:1 check-in meetings. It’s why we reference these things when we’re debating a big and bold new idea to potentially invest our resources in, such as a new online course or future event offering. In all, these things provide a leveling benchmark for us to use to frame our thoughts, orient our feedback, and govern our actions as a team. Ensuring safe air exists within our culture is a vital enabler of our purpose. For instance, trading opposing ideas for how to organize and execute our next online course launch can be touchy but is necessary to arrive at the best plan. Additionally, delivering feedback to someone, including to Pat and me, when an important internal deadline is missed that adversely impacts a project is a sensitive moment, yes, but one that cannot be brushed under the rug less we allow that to become our norm. Nailing your company’s purpose is harder than it looks. And I believe that degree of difficulty increases exponentially as more people enter the picture. So hunker down with your co-founder, partner, or team. Workshop this stuff with safe air. I bet you’ll be pleasantly surprised with what you come up with if you give this the attention it deserves. People are the conduit of your purpose. Recruiting, hiring, on-boarding, training, supporting, and empowering the right people in the right roles is oh-so important to any operation. If the prospect of hiring staff gives you the heebie-jeebies, don’t worry. You don’t need to hire anyone if that feels out of place for your business. Often times, startup companies and lifestyle businesses can be effectively operated by you and your co-founders, at least in the beginning. Some can continue on in that manner perhaps indefinitely. However, at some point, you’ll need help. Be okay asking for it when that moment arrives. We ask for help from others all the time because our in-house team cannot possibly do everything alone. For starters, we still collaborate with freelancers who have unique skills that we do not have in house. We also involve consultants from time to time to pressure-test our own thinking, train us on a new skill or competency area, or lend an alternative point of view even if we think we’re on the right track with a big decision or big project. Such individuals include our designers, business coach, book launch consultant, and community manager among others. We cherish these folks as extended team members. We’re also extremely grateful to work with individuals that we regard as creative partners in our work. Caleb Wojcik of Caleb Wojcik Films exemplifies this caliber of partner. He is our videographer for all video work that Pat doesn’t do himself. He’s a trusted advisor as we vet business plans. And he’s even Pat’s business partner in SwitchPod—which is wicked cool. Yikes, policy and performance. That sounds dry. I understand that sentiment. I also assure you that providing clear guidance to the team on what does and does not constitute good performance aligned with and enabling of our purpose is a linchpin in our operations, as it very well should be in the operations of any company with a magnanimous purpose. Next, we have a formal employee handbook of policies and procedures that is a key part of our human resources management. Why are we so serious about this stuff? Because having a child is a serious moment in one’s life. Because getting called to jury duty is a serious event. Because harassment in any form is a serious offense. Because confidentiality is a serious aspect of business. Because travel is a serious business expense. Because time off, in its various forms, is a serious benefit extended to the team that they rightly expect to be honored. Our employee handbook gets ahead on all of the above situations and many more by stating how we will handle such situations if and when they arise. Already this year, we’ve had a team member called to jury duty, folks using paid time off to travel the world including Hong Kong and Japan, and someone preparing for their first born child (um, that’d be me and, by the time you’re reading this, baby will have arrived!). The above has been inspired by and adopted from a host of companies that champion the same values through their parental leave policies, including such vanguards as Etsy. Also, we require formal agreements with all of our team members whether they be in-house or not. Declaring the boundaries of any relationship is important for all involved. I know way too many companies that shirk their responsibilities on this front. We don’t. Finally, we are big champions for the growth and development of our team. That devotion manifests as a combination of performance reviews and professional development plans. Performance feedback is given and discussed regularly in 1:1 check-in meetings. And it’s formalized in annual performance reviews. While discussing performance can be awkward, it’s an essential leadership skill that must be developed and utilized with the right intentions—to support and enable the growth of the team member consistent with the business’s purpose. Let’s be real: Process can be both a lifesaver and a straitjacket. Process for process’s sake is indeed a joke. But disdain for process and the outright rejection of it are willful derelictions of duty for any entrepreneur and business leader motivated to achieve big things. That said, too much process can immobilize your team by stifling creative thinking, requiring unnecessary busy work, causing disengagement from your business purpose and from each other, among other systemic issues. The secret sauce of process lies in assembling together acute processes that each target a specific workflow pattern or need. Alone, any one process is small and manageable. Together, they work like linked armor that enables lightweight and nimble performance (versus plate metal armor that constricts performance because it’s big, heavy, and rigid). Each of these processes is a targeted workflow within a specific business function owned by the individual leading in that function. For example, Janna (our content director), defined, implemented, and leads our editorial management and publishing process. Over years of refinement, it’s become a gold standard for us that enables all of us involved in content creation to operate efficiently. The end result is that we’re months ahead on quality content for the blog and both podcasts (SPI and AskPat) at any given moment. Cross-functional governance deserves special mention because it’s the one process to rule them all. Lord of the Rings quips aside, our governance process doesn’t rule in a harsh manner. We don’t require arduous paperwork to be completed for every project we do. We keep team meetings to a minimum. And we don’t micro-manage. Instead, our governance process provides a stable and sustainable foundation upon which managers in the team are empowered with autonomy and authority to plan, organize, and execute their work in direct collaboration with others on the team. 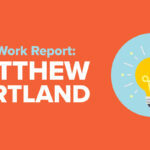 A weekly one-on-one between individuals and their immediate supervisor to review performance expectations, exchange feedback, touch base on work assignments, and generally offer and lend support. A two-week sprint schedule that serves as a common measuring stick to organize and integrate work across projects and departments. A weekly all-hands staff meeting on Mondays executed like a standup where everyone gets the mic to share their plan for the week ahead and any blockers they’re facing. A weekly retrospective and prospective on Fridays to connect with each other both professionally and personally to share our wins, acknowledge our struggles, and crowdsource any previously unacknowledged risks to upcoming plans. A bi-weekly (every other week) sprint meeting on Wednesdays that serves as a check-in on project milestones, a showcase of completed work that needs to be presented for feedback and/or a decision, and a forum for discussing and aligning on the next sprint. Some of us have a couple extra planned meetings. For instance, Pat and I have a leadership meeting on Fridays following our retro. And we have a unified content+marketing planning meeting with Janna and Karen (our marketing manager) on Mondays before staff meeting. An annual business planning meeting (in person) where big picture ideas and continuous improvement opportunities are discussed and synthesized into detail to inform financial projections and culminate in actionable strategic plans aligned to our declared objectives and goals. Quarterly business meetings (sometimes in person) to review progress against the annual business plan, review status on individual strategic plans, identify necessary adjustments to our plans, exchange feedback, celebrate wins, and more. That’s a lot of ink on process and management. It may make you think that we’ve gotten all our process kinks ironed out. Far from it. While we’re pros at a lot of this stuff, we remain quite imperfect. In fact, this is perhaps the one area of our company that warrants the most attention and innovation as we further transform and grow as a merged team. Before I share what tools we use and rely on to operate the SPI business, please heed this caution: tools are tools, not solutions. For instance, the fancy new project management software that everyone is talking about may look nice but if it isn’t materially better than the one you’re currently using in a manner that can solve an unmet need, then re-platforming to it is likely a solution looking for a problem rather than a problem in need of a solution. Platform switching can be a major resource drain. If you’re in a good spot with the systems you’re using today to operate your agency, startup, or some other entrepreneurial venture, then by all means stay on those platforms. There is no reason to switch to any of the ones we use just because we use them. Let’s delve into the systems and tools we use to run SPI. Gusto—Gusto is a fantastic platform for payroll and extended capabilities like benefits management and PTO tracking. We use it for all of those services and for making certain vendor payments to take advantage of its automatic 1099 paperwork processing come end of year tax time. Guideline—We’re proud to offer a 401(k) investment benefit to our team, managed via Guideline. It connects directly with Gusto so that appropriate deductions are withheld from the team’s respective paychecks per whatever selections they’ve made. Proprietary data models—We conduct our business planning forecasts, cash flow management, and related finance data modeling in a collection of proprietary Google Sheets. For forecasting explicitly, consider Dryrun.com, though we don’t use it. Stripe—Stripe is a go-to payment process that powers some of the best platforms on the planet, including our friends at Teachable. We use native Stripe to handle processing of payments for any of our subscription programs. Harvest and FreshBooks—The internet is rife with systems for invoice processing. We’ve used many across our team’s collective experience online. Harvest and FreshBooks are two solid options to consider among the many. PayPal—PayPal remains an element of our financial operations despite the many pesky quirks that drive online entrepreneurs like us batty. Mostly, we use PayPal as a vessel to receive funds and limit it heavily in terms of making outbound payments. Airtable—Airtable has become our system of record for work. That’s a fancy way of saying it’s our go-to project management platform that all managers use. It’s a delight thanks to its intuitive user experience and comfortable views. If you like spreadsheets, you’ll love Airtable even more. Slack—I doubt that Slack needs any introduction. It’s the powerhouse platform adored by companies of all shapes and sizes for collaborative communications. We have our Slack workspace carefully architected with a variety of channels, each with a specific purpose. We’ve also developed helpful Slack guidelines to ensure that our affinity for using Slack doesn’t overtake our sensibilities for doing the actual work that matters. G Suite—G Suite is Google’s business offering for its suite of collaboration tools including Gmail, Drive, and Calendar. Of the full G Suite, we primarily use just those three. Dropbox—Dropbox remains our go-to cloud-based storage system. In fact, thanks to Mindy (our solutions manager), we just completed a large digital asset migration from a legacy Dropbox account to a new one. Business Dropbox accounts come with Dropbox Paper, which I have to say is a nifty document platform. We dabble with it but still rely heavily on Google Docs for documents. Megaphone—Born by Panoply, Megaphone is a big league podcast hosting platform. We migrated the SPI podcast to Megaphone last year largely for its dynamic ad capability. We’re also really impressed with the attention given to the admin user experience. I hope this peek behind our curtain has provided a good barometer of what goes into running a company such as ours. It may seem like a lot, but once the pieces get in place and start moving, the magic making starts to take off. If you’re engaging on this stuff for the first time, know that you don’t need to go full blast on everything I’ve shared here. Small, young teams don’t need as much rigor in their operations as those in later stages of maturity and growth. Add layers when you need them to solve growing pains and proactively prepare for new opportunities. If you need help to get started or to overcome a hump, ask away in the comments! If you’re experienced with this stuff, I’d love to hear how you do things differently and better than we do, and which parts of our operations you feel may best help yours improve and grow.